Today Global Fishing Watch releases the first version of our global database of anchorages. This database contains over 100,000 locations where AIS transmitting vessels congregated and includes large industrial ports, smaller fishing harbors, and individual docks and piers. For more information regarding the development of this dataset, ways in which you can contribute to its improvement, and to access the data files, please visit our anchorages data page. 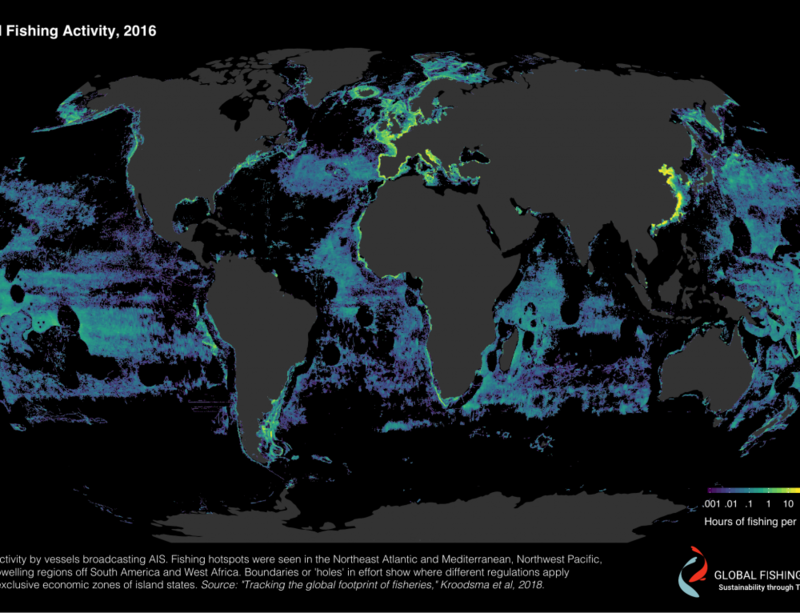 These data represent the first steps toward identifying not just the movement of vessels at sea, where they fish or rendezvous, but their ultimate destinations, such as these anchorages in the Canary Islands, Portugal, or Spain, as shown below. We encourage you to download the dataset, examine areas of interest to you, and provide feedback regarding anchorages that may be missing or anchorage points that could be more accurately named. The resolution of this dataset is exciting, as it has the potential to identify not only which port a vessel may visit, but which pier, berth, or processor. For example, shown below is the subset of anchorages (in red) within Dutch Harbor, USA. Each anchorage point is assigned a broader port label, but there is the potential to apply an individual sublabel to each point, identifying very specific locations, sometimes within a port. If you have specific knowledge or expertise within a particular region or port and can provide these more detailed sublabels, we would greatly appreciate your contributions.